Independence is everything. 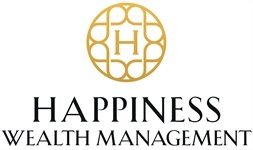 Free from the constraints of outside interests, Happiness Wealth Management operates exclusively on your behalf. By emphasizing personalized attention over products, we confidently pursue your goals as if they were our own. Integrity empowers us to provide truly objective advice and build solutions optimized for your success. While financial products may come and go, trusted relationships and custom solutions will stay the course. That’s why we create comprehensive and flexible financial strategies that meet the needs of today while laying the foundation for tomorrow. We believe your goals; business commitments and family situation deserve unique solutions that are customized to you and adaptable to change. When your life evolves, so should your strategies. Privacy is integral to our firm. We value your trust and provide maximum confidentiality in every aspect of our business. As a team, we will walk beside you through all stages of life’s journey. Whether celebrating successes or navigating uncertain markets, we will work diligently to help you stay on the path of continued financial happiness.